This week the weather has been pretty cold and miserable where I live in the UK, so I really wanted to create a tutorial to remind me of warmer climates. So for this weeks video tutorial I have created a step by step guide for how to make a hibiscus flower. I think these flowers are so beautiful and have a real tropical feel. These flowers can then be added to birthday or wedding cakes and the colours can all be changed to match your theme. 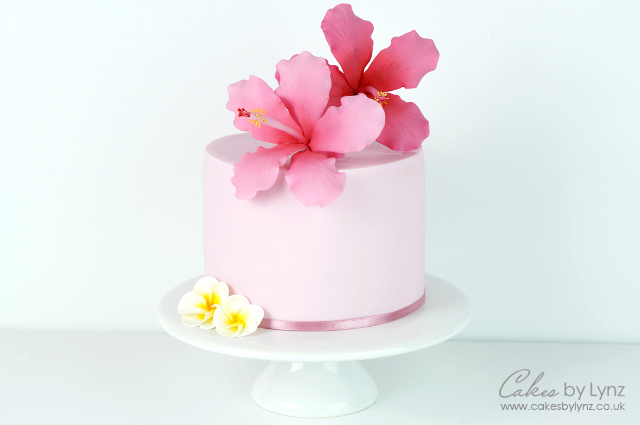 For this hibiscus I used the squires floral paste in white, which I coloured with the Wilton rose gel colour to give this really pretty light pink colour. For the slightly darker flower in the background I added slightly more of the rose pink gel colour to give it a more vibrant finish. I then finished it off with different shades of the sugarflair petal dust to give it a more natural look. The finished flowers are around 10cm in diameter so they can really make an impact on your cakes. The veiner that I used was from Dusky Rose Veiners, and comes with a little sponge to push the petal pattern into the gumpaste. Some veiners also come with a cutter for you to cutout the gumpaste, but if not you can just use a small cutting tool to cut around the shape. I have also put a link below to another similar veiner below, along with all the rest of the materials that I used. 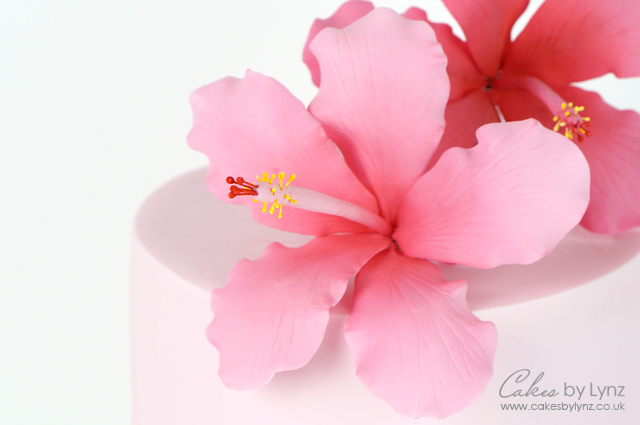 I really hope you enjoy this video tutorial and find it helpful if you are looking to add hibiscus flowers onto your own cakes. Also don’t for get to check out the tutorial which shows you how to make the small Plumeria flowers which are sitting on the cake stand by visiting my Tutorials page!